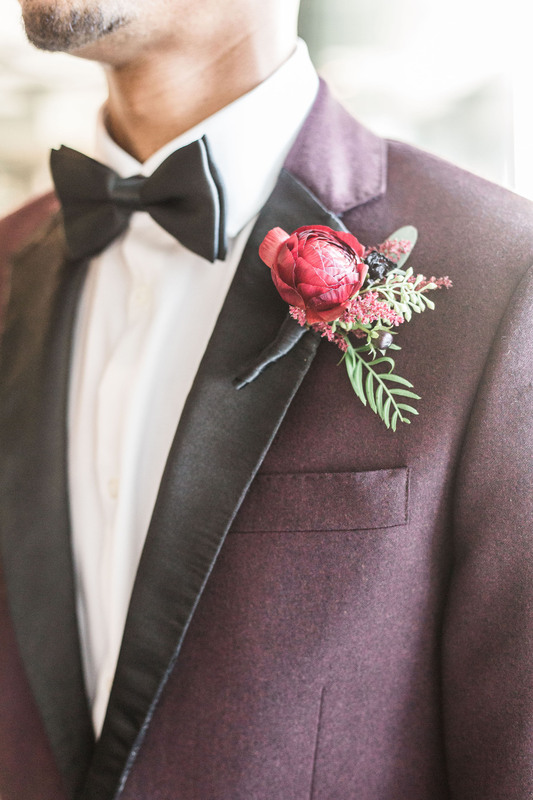 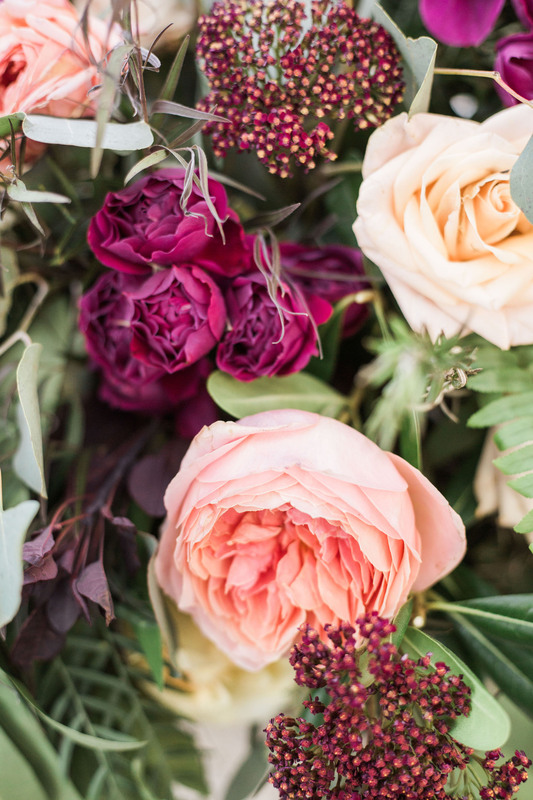 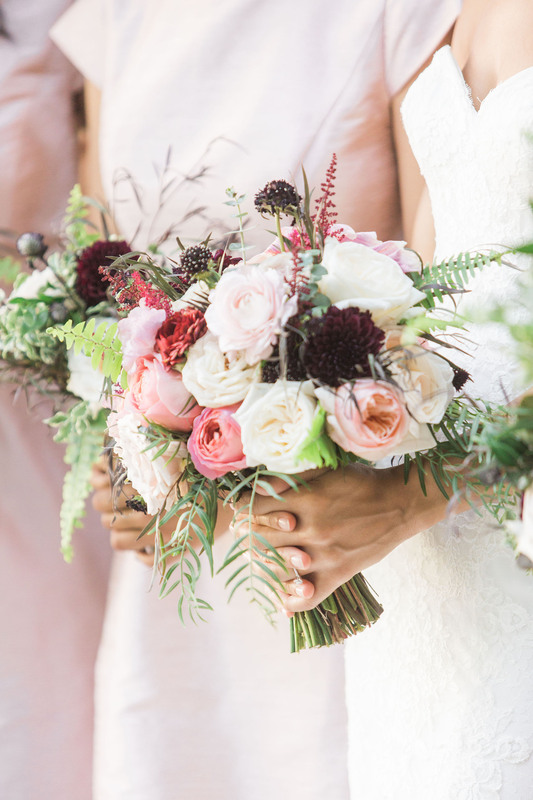 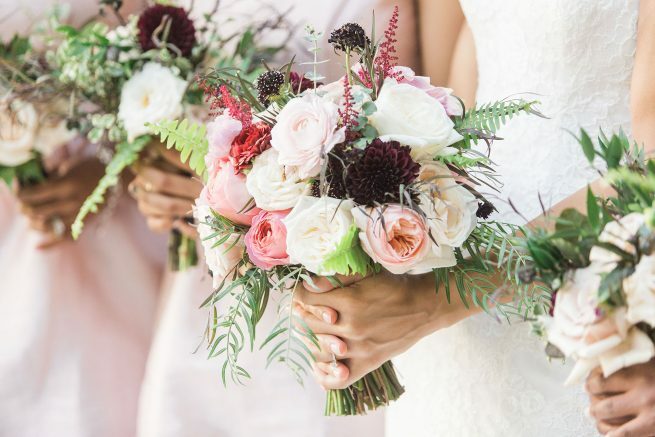 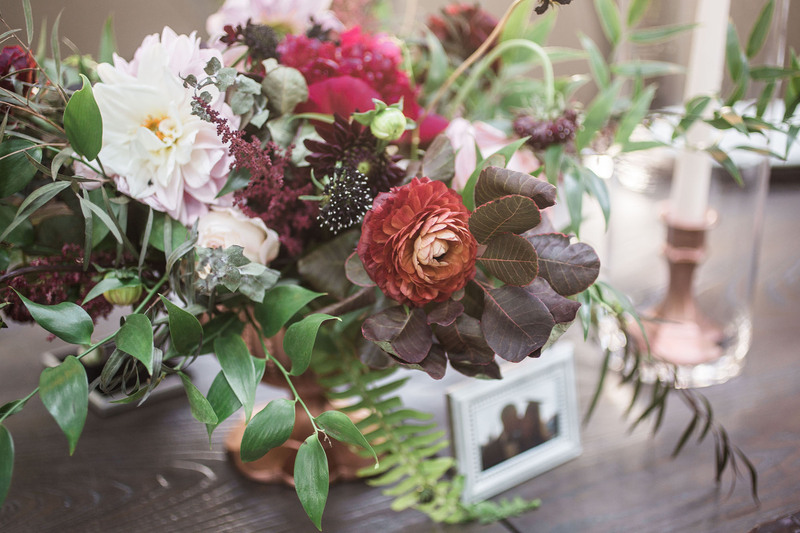 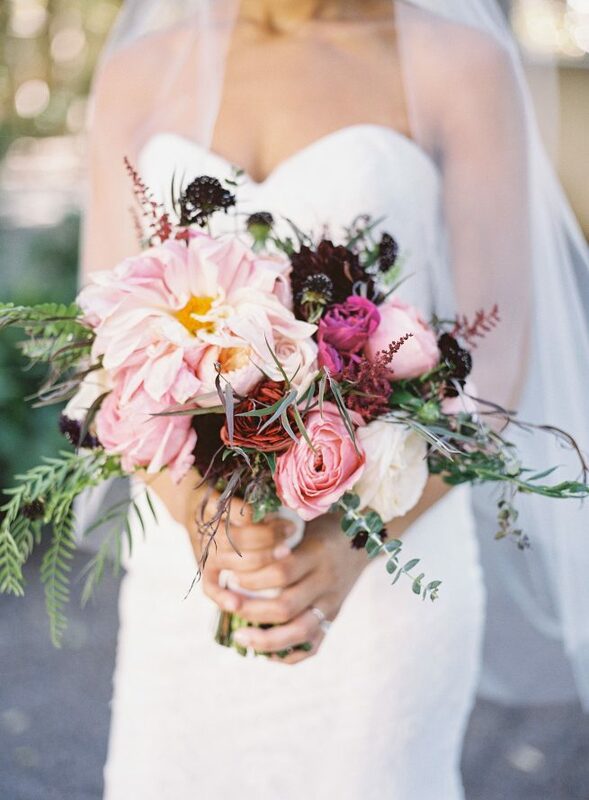 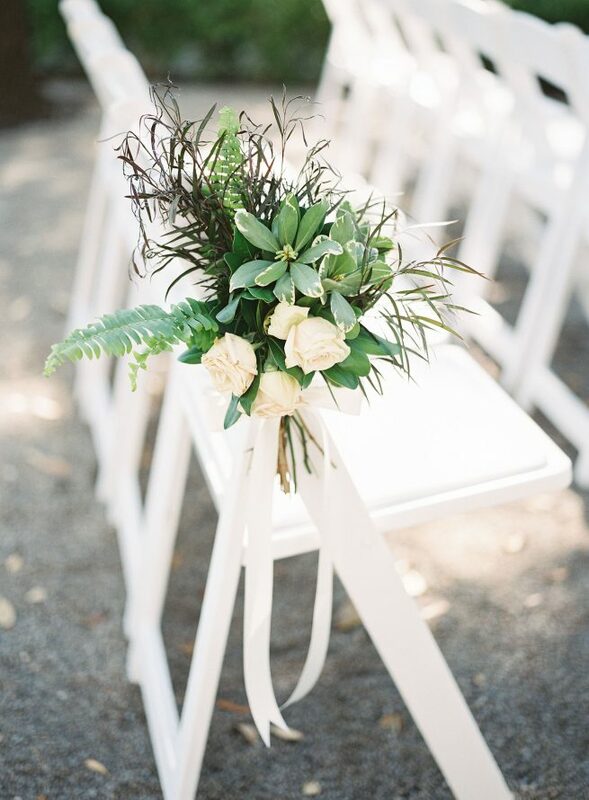 Jessica and Andrew loved burgundy and wanted burgundy flowers for their garden wedding. 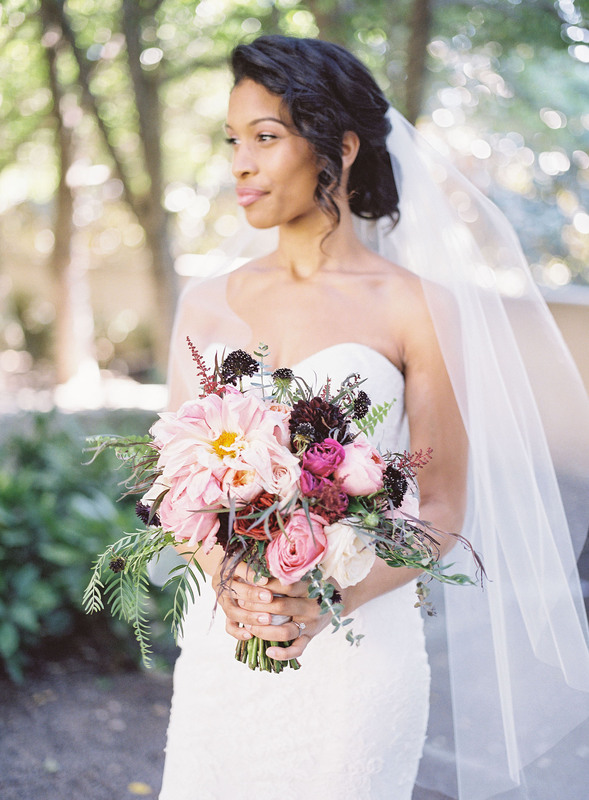 The ceremony took place in The Gardens at Marie Gabrielle. 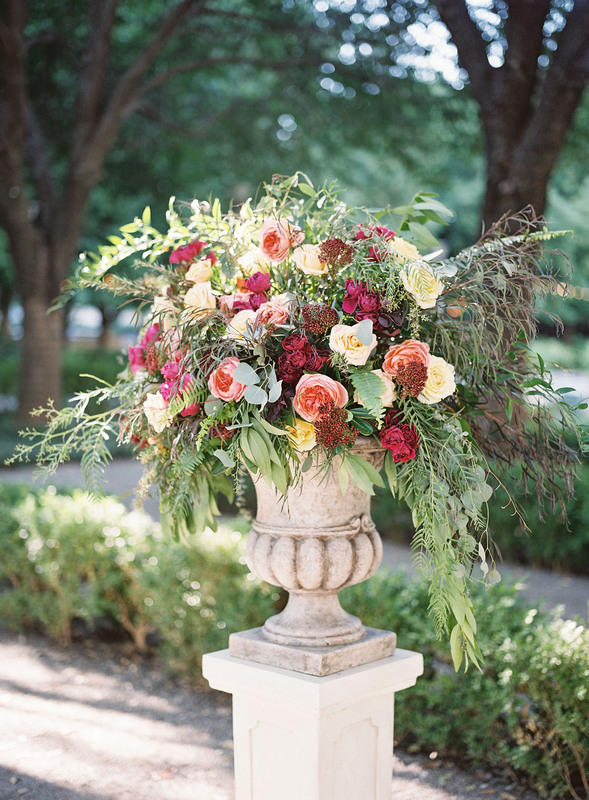 Two floral designs in garden urns framed the enchanting ceremony. 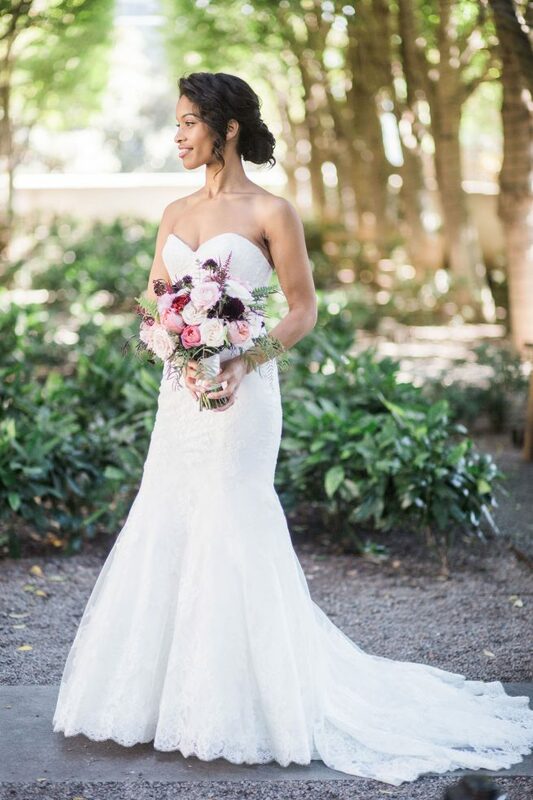 The cocktail hour took place by the pond where guests sipped on mocktails. 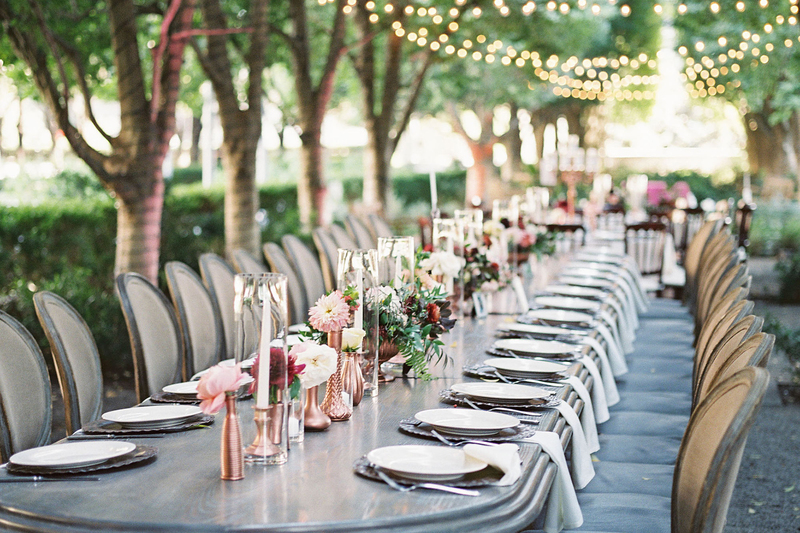 The reception took place under the trees. 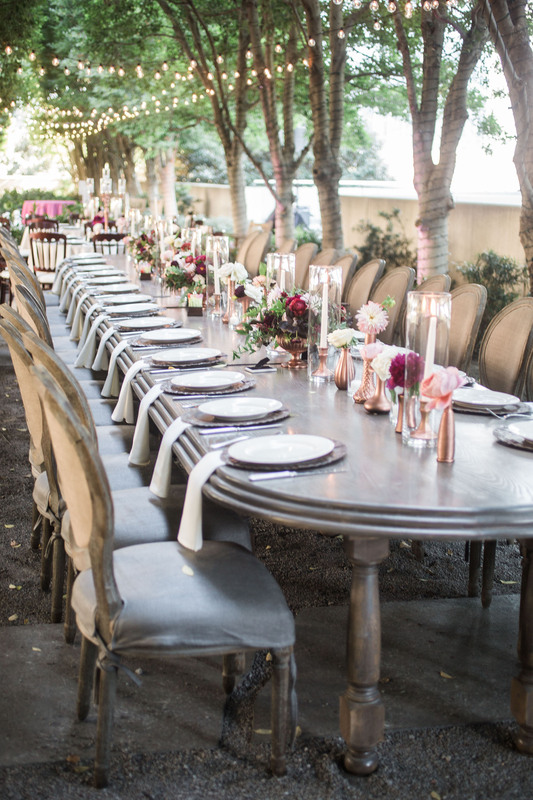 Crystal chandeliers hung in the trees to create a romantic feel. 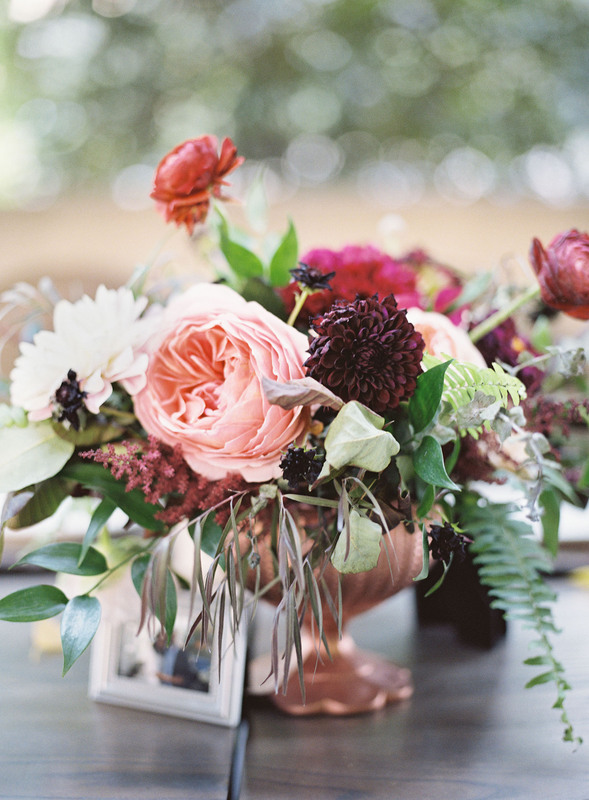 Rose gold accents in containers and vases had floral designs of coral, fuchsia, burgundy. 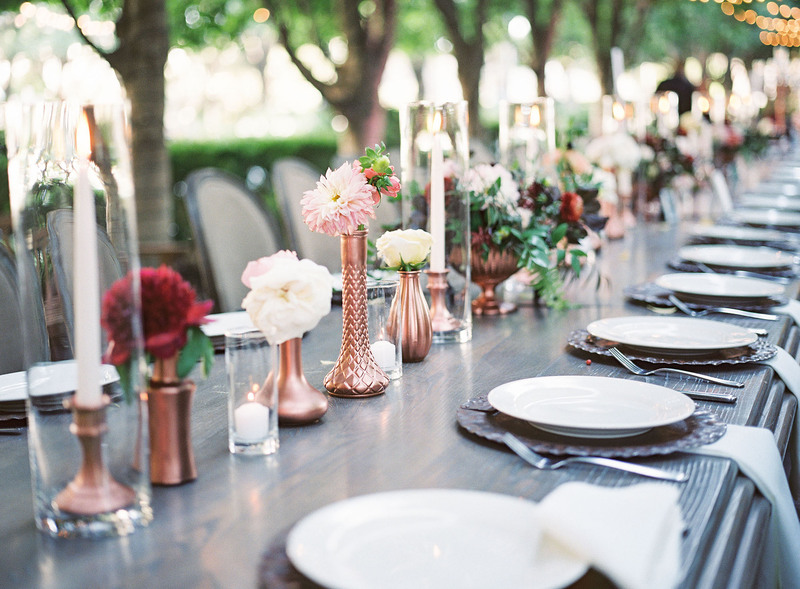 The long guest table had rose gold bud vases and copper candelabras.